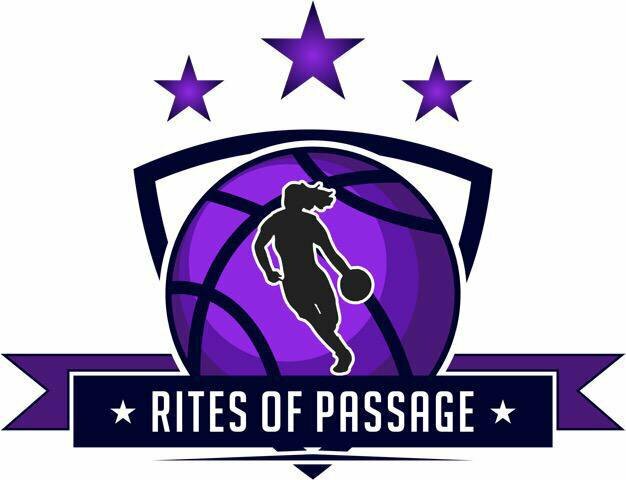 The Rite of Passage Showcase has become one of the most sought after middle school events in the country. In eight years it has produced a rich list of alumni that have been succesful on every level of basketball. The invite only event gives a "gold ticket" feel to the invitees with many knocking at the door on a waiting list trying to get in. Of course the opportunity to play in front of multiple influential evaluators from the local and national level is a big draw. The fact that the invited play free of charge is a plus for parents that have endured the rising cost of AAU basketball for years up to this point. The biggest adavantage in my opinion is the opportunity to play against some of the best middle school players in the country and receive high level instructions from qualified court coaches that they can use to become better players. This year I felt that the talent across the board was the best that it has ever been as there wasn't any significant drop between the top tier players and everyone else. Next Sports Phenom felt that every player in the building will play at some level in college, meaning essentially that the future of women's basketball was in the building. Players from all over the country their way to Bowie, Maryland and Next Sports Phenom predominately focuses on players from Washington, D.C., Maryland and Virginiamand as always will compile a list of players that stood out from the DMV, however, before starting I must mention 2023 Judea Watkins from Los Angeles, California who in my opinion was the top player in the building. At 6'0" Judea had a mature game perimeter game that was well beyond many of the 7th graders that I have seen over the years. As she continues to develop I have no doubt that she will be among the nations top recruits heading into college. Pryor was the most effective player of the day. She was able to score at will in traffic despite her listed 5'1" height. She is an excellent passer with great vision and a nice outside shot. Madisen has been playing up with her club team and it shows as she seemed very comfortable at the point guard with a team full of older girls. Zakiya came to make a name for her self and she definitely did stepping up to each of the top players in her class and winning the head to head battles everytime. Keep an eye on where she lands in the NSP's next 2023 rankings update. Samera got by defenders and had some pretty looking "jelly" finishes that she made consistently. NSP hadn't seen Gia in a while and was nice to see that she hasn't missed a beat. Adding 3 to 4 inches ain't a bad thing either. She is a great finisher and has is a really good shooter off the dribble. Isabella had her shot going during the day and was able to create space on her own showing a quick release. Yonta had the bullseye on her back being the top ranked 2022 in the DMV. She stood her ground against all challengers with a nice display of her ballhandling and scoring ability. Hearing that Qadence was just returning from an injury and wasn't 100% was a big surprise as she was able to use her speed and length effectively from the mid range and attacking the basket. She was impressive from start to finish. NSP hadn't seen Kennedy outside of workouts in years but, we have heard a lot of good things about her. Her ability to get but defenders quickly gets her to the rim uncontested. Although she played well off the ball as a scorer, I was able to see that she can also be effective at the point. Kendall has the the highest ceiling of anyone in the showcase. Only a rising 7th grader she would have still been on of the top players if she were a rising freshman. The six footer has a solid all around game and is a good finisher. Seeing Kennedy multiple times with her club team and in showcase events, she tends to show more with her team because of her unselfishness. This event format gave players an enormous amount of opportunity to showcase their talent and Kennedy was able to show why she is one of the top players in the class. She can do pretty much everything on the court and can play all five positions if needed. I'd like to see her continue to look for scoring opportunities and show her versatility in showcases so that she will be evaluated properly. Page plays smart showing a high IQ. She has a good stepback move and protects the ball well when dribbling. Alana dribbles well zig-zaging her way through crowds. She has a good pull up jumper. Simone is one of the to finishers in her class. She attacks well from the perimeter and is a duel threat from the high post to drive or knock down the shot. Alyssa has a good outside shot and finishes well after driving. Gianni went on my list as the most improved player in the DMV after a very solid showing. I've seen her putting in work in the gym the over past few months with her high school coach but, it was nice to see it all come together in real competition. The shot and handle have both made improvements, she looked realy good. Jessica showed good range and accuracy on her shot. Angela navigates through traffic well keeping her dribble low to the ground. She has nice fakes and a good first step to get by defenders. Sahnya uses angles well and is a very good finisher after contact.